This historic handicap was originally contested over 2m and often contained aspiring Champion Hurdle horses. Despite the big increase in distance the race generally remains the preserve of thrusting young stars. Venetia Williams struck with 11-4 favourite Yala Enki last year and is threatening to head the market again with the well-backed Bennys King, who only has Doesyourdogbite in front of him in some markets. Williams and Liam Treadwell have combined for three winners in the last fortnight to go into the race full of confidence. Jaleo, one of three horses John Ferguson kept after giving up training last year when appointed chief executive of Godolphin, has been another ante-post mover. Ferguson's son and amateur rider Alex has won on his last two rides, Sennockian Star on the all-weather at Kempton on Wednesday and High Bridge at Catterick the following day. They face an old friend in Chesterfield, who was bought at the Ferguson Bloomfields dispersal by Seamus Mullins, who has gone close in this race previously. Little Boy Boru is running in the race for the third time and is once again out of the handicap, but 3lb conditional Jack Sherwood offsets that. Six-year-olds, often the most represented age group in the race and with six contenders this year, have won five of the nine runnings since the race increased in distance. Paul Nicholls has won the race twice since the distance increased to 2m5f with Nycteos in 2008 and Saphir Du Rheu in 2014. 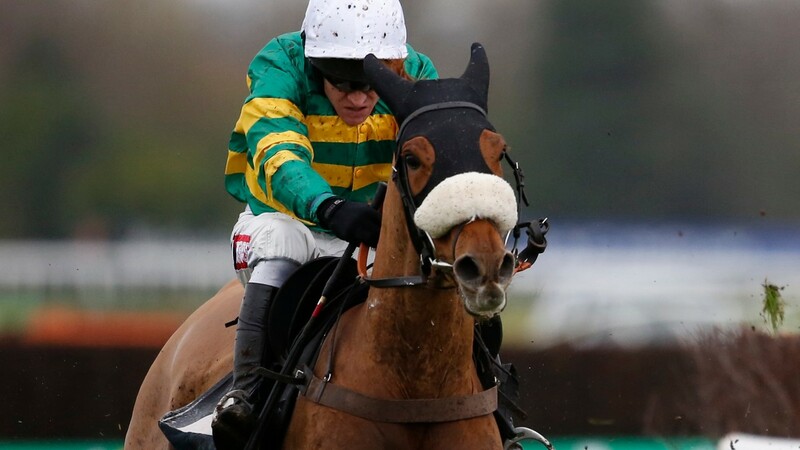 Barry Geraghty, who rides Modus for Nicholls, won the race four years ago on Oscara Dara. Old Guard was declared to run at Cheltenham on New Year’s Day but the ground went against him so we pulled him out. He has lots of weight but hopefully the step up in trip will suit. He is hard to place but should give a good account of himself. The longer trip should also suit Modus. He has been very consistent this year. This has very much been the plan with Jaleo since Lingfield where I thought he did well to win from where he was two out. He's in fantastic form at home and Alex's 7lb is a valuable weight off his back. Local Show was progressive last season but he just got one wrong in the Hennessy and he's back over hurdles as a confidence booster. It will be sharp enough for him but we'll run so long as the ground is genuinely soft. It will be hard for him having gone up the weights but he's entitled to take his chance. He's not the biggest but is brave. He's better on softer ground rather than dead. He's going the right way and is unexposed. He's best coming off a nice strong pace so hopefully the race will be run to suit and he should be fine on the ground. This looks an ideal race for him and he's in good order and looks to have a good chance. He looks really well and has certainly got a chance – the softer the ground the better. It’s a big step up in class for him. Any rain will help. I hope he can be competitive. He was disappointing at Cheltenham and nothing came to light, but he's still a novice and unexposed and he's in off a low weight. He's used to being out of the weights in this race – he was when second two years ago and last year there wasn't enough pace when he was fifth. He's small so doesn't want to be carrying big weights. Soft ground helps and I wouldn't rule him out of being in the three. He is going the right way and is unexposed. He is best coming off a nice strong pace so hopefully the race will be run to suit and he should be fine on the ground.